Psychoneuroimmunology (PNI) - the interactions among the mind, nervous system, and immune system - is a new discipline that has emerged only in the last fifty years. Even more recent but no less important have been the many advances in and applications of psychology to PNI, the contributions of which are essential to the vitality of the rapidly growing field. 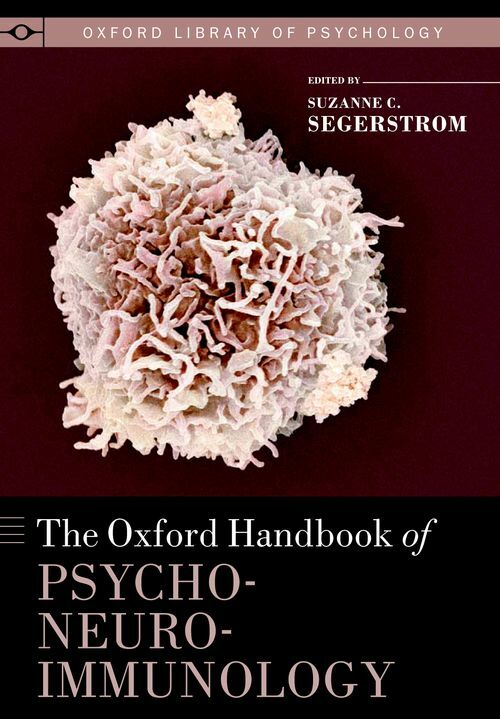 The Oxford Handbook of Psychoneuroimmunology comprises perspectives on the state-of-the-art applications of psychological theory to PNI. Chapters in the volume represent the entire range of levels of analysis in psychoneuroimmunology. Genes within cells, cells within organs, organs within individuals, and individuals within both close social groups and large social structures are considered. Furthermore, chapters address the effects of psychological factors on markers of chronic, low-grade, systemic inflammation, which can indicate risk for many disorders including atherosclerosis, Alzheimer's disease, frailty, and some cancers. The volume provides specific applications of psychoneuroimmunological models to fatigue, cancer, neuroinflammation, and pain - and a superb review of the ways psychotherapeutic approaches integrated with psychoneuroimmunological knowledge can mitigate against adverse health outcomes. This volume samples from the best and most sophisticated applications of psychology to PNI, whether those applications arise from affective science, development, behavioral neuroscience, or clinical psychology. Suzanne C. Segerstrom, Ph.D., is Professor of Psychology at the University of Kentucky. Her research focuses on how psychological and behavioral factors such as personality, self-control, and stress affect well-being and health, especially the immune system.